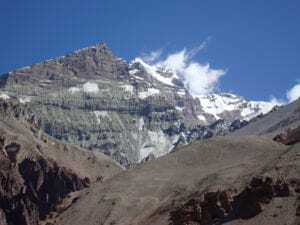 Dolpo is the Tibetan name for a vast area of Nepal, located immediately north of Dhaulagiri Himal, and is characterized by harsh rugged land and an arid climate. The population is scattered throughout the region in villages where irrigation is possible. The people are dependent on trade and raising livestock and also have close links with Tibet. This remote area supported a rich tradition of the Bonpo religion in the 16th century and its vestiges are still found in the various Gompas in Dolpo. The beautiful Phoksundo Lake and its waterfall are one of the attractions of Dolpo, with its blue stretch of water hidden in a deep valley, surrounded by snow covered peaks.